The author of one of the best math (and cooking) books of the year is on Stephen Colbert's show tonight. Earlier this year, I read Eugenia Cheng’s brilliant book How to Bake Pi: An Edible Exploration of the Mathematics of Mathematics. Tonight she’s appearing (along with Daniel Craig apparently) on the The Late Show with Stephen Colbert. I encourage everyone to watch it and read her book when they get the chance. While most of the book is material I’ve known for a long time, it’s very well structured and presented in a clean and clear manner. Though a small portion is about category theory and gives some of the “flavor” of the subject, the majority is about how abstract mathematics works in general. I’d recommend this to anyone who wants to have a clear picture of what mathematics really is or how it should be properly thought about and practiced (hint: it’s not the pablum you memorized in high school or even in calculus or linear algebra). Many books talk about the beauty of math, while this one actually makes steps towards actually showing the reader how to appreciate that beauty. Like many popular books about math, this one actually has very little that goes beyond the 5th grade level, but in examples that are very helpfully illuminating given their elementary nature. The extended food metaphors and recipes throughout the book fit in wonderfully with the abstract nature of math – perhaps this is why I love cooking so much myself. I wish I’d read this book in high school to have a better picture of the forest of mathematics. Math is about understanding processes and not just eating end results. hat can I say? I’m a sucker for references to math and pastry. Eugenia Cheng's new book How to Bake Pi: An Edible Exploration of the Mathematics of Mathematics helps to introduce the public to category theory. 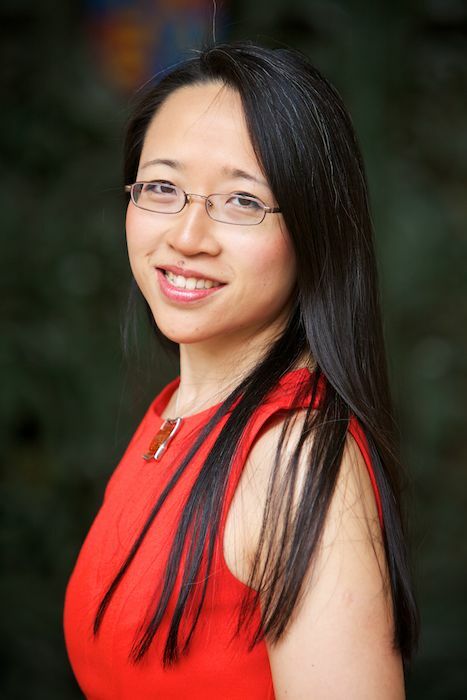 Dr. Eugenia Cheng can be followed on Twitter @DrEugeniaCheng. References to her new book as well as some of her syllabi and writings on category theory have been added to our Category Theory resources pages for download/reading.